Random House Trade Paperbacks, 9780812982688, 128pp. 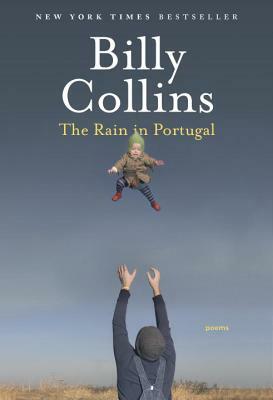 Billy Collins is the author of twelve collections of poetry including The Rain in Portugal, Aimless Love, Horoscopes for the Dead, Ballistics, The Trouble with Poetry, Nine Horses, Sailing Alone Around the Room, Questions About Angels, The Art of Drowning, and Picnic, Lightning. He is also the editor of Poetry 180: A Turning Back to Poetry, 180 More: Extraordinary Poems for Every Day, and Bright Wings: An Illustrated Anthology of Poems About Birds. A Distinguished Professor of English at Lehman College of the City University of New York and Senior Distinguished Fellow at the Winter Park Institute of Rollins College, he was Poet Laureate of the United States from 2001 to 2003 and New York State Poet from 2004 to 2006. In 2016 he was inducted into the American Academy of Arts and Letters.